When you visit Milwaukee car dealerships, you may soon find they have many vehicles to offer you. You will find Ewald Chevrolet Buick can provide you with so much more than used cars for sale. Ewald Chevrolet Buick doesn't just have a large selection just like other Milwaukee car dealerships. They also have a broad range of prices and incredible customer service. Ewald Chevrolet Buick is honored to provide Milwaukee car buyers with the best experience possible when buying a car in Wisconsin. Ewald’s car dealerships near Milwaukee has an excellent selection of Chevrolet’s latest models of cars, trucks, and SUVs for sale. We have a knowledgeable sales team ready to answer any questions you may have about Chevrolet latest models of cars in Milwaukee for sale. With the experience and knowledge you would expect from car dealerships near Milwaukee with the inventory you need to help find the right vehicle for you. Come in and check out Chevrolet latest models of cars in Milwaukee for sale at Ewald Chevrolet Buick today. Like the used 2014 Chevrolet Cruze 1LT for sale at Ewald Chevrolet Buick near Milwaukee car dealerships. A used Chevrolet Cruze comes with many features both inside and outside. 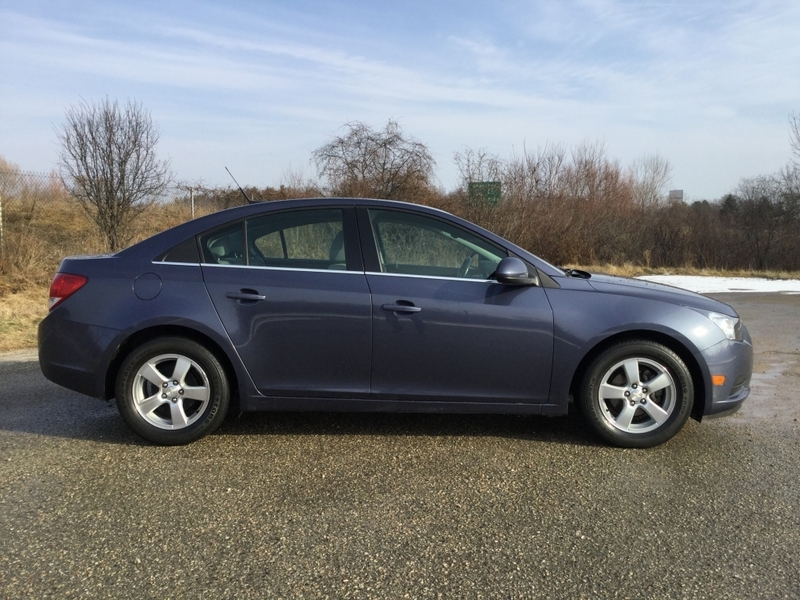 This used Chevrolet Cruze for sale near Milwaukee car dealerships is loaded with pretty amazing features. But one of the best qualities that this used Chevrolet Cruze for sale offers is the incredible fuel economy. The Ecotec 1.4-liter SMPI DOHC Turbocharged engine allows for an excellent MPG. You can expect an average of 26 miles per gallon in the city and 38 miles per gallon on the highway with proper conditions. Another astonishing feature on this used Chevrolet for sale is the steering wheel audio controls. This allows you to change the radio station, adjust the volume, and more. This used Chevrolet for sale at Ewald Chevrolet near Milwaukee car dealerships also comes with remote entry, satellite radio, and much more. All of this makes for one enjoying ride in this incredible used Chevrolet for sale. If this used Chevrolet Cruze for sale isn’t the right Chevrolet latest model for you, check out one of the other used cars in Milwaukee for sale at Ewald Chevrolet Buick. We have many models, trim options, and colors to choose from when it comes to Chevrolet latest models of cars in Milwaukee for sale at Ewald Chevrolet Buick. We are sure that you will enjoy shopping through our comprehensive and vast inventory of Chevrolet latest models. Ewald Chevrolet Buick car dealerships near Milwaukee is here for all of your used car needs. This includes competitive pricing, incredible financing deals, and more on used cars for sale at Ewald’s car dealerships near Milwaukee WI. As well as providing vehicle service after the sale, OEM parts for your next car, and exclusive accessories. Give our knowledgeable car dealership near Milwaukee of Ewald Chevrolet Buick a call when you're ready to take a used Chevrolet out on a test drive! When it comes to Chevrolet latest models of used cars for sale, make the trip to Ewald Chevrolet Buick. You can give us a call at (262) 226-2842 to schedule your test drive. Or, check us out in person at Ewald Chevrolet Buick located at 36833 E Wisconsin Ave in Oconomowoc WI, 53066.